The right team to drive the best results for all of life’s events. Our owner, Lorenzo Jackson, has had a passion for food from a very young age. Lorenzo graduated from the Art Institute with a degree in Culinary Arts. He has traveled all over the world to get first-hand experience in different types of cultural cuisine. He studied with top professionals in Thailand, Peru and Italy. He has worked as a chef at a world renowned hotel, as well as various other catering and event planning companies. All this training has ultimately prepared him and perfected his menus to being him to where he is today, owner of Gourmet Caterers. Our Operations Manager, Nancy Lew, has 18 years working in the Catering Industry. She has experienced working with different companies and experiencing different styles of catering which has given her a style she has perfected along the way. She shares her event planning expertise with you to create a memorable event for you and your guests. Our Kitchen Manager, Marcia Marquez, has put her talent to work to create mouth-watering food for all to enjoy. She brings to the table experience from both sides of the house having worked for many years with clients, so she knows what works great for any type of event. Your guests will rave about how wonderful the food tastes. We offer fine catering, excellent event design, gourmet food, and professional service. Creating Memories: Every event begins with the perfect ambiance, a customized creative cuisine to tantalize the taste buds, and finishes with exceptional service that makes each of your guests feel pampered. This is how Gourmet Caterers helps you create a unique recipe for your memorable event. 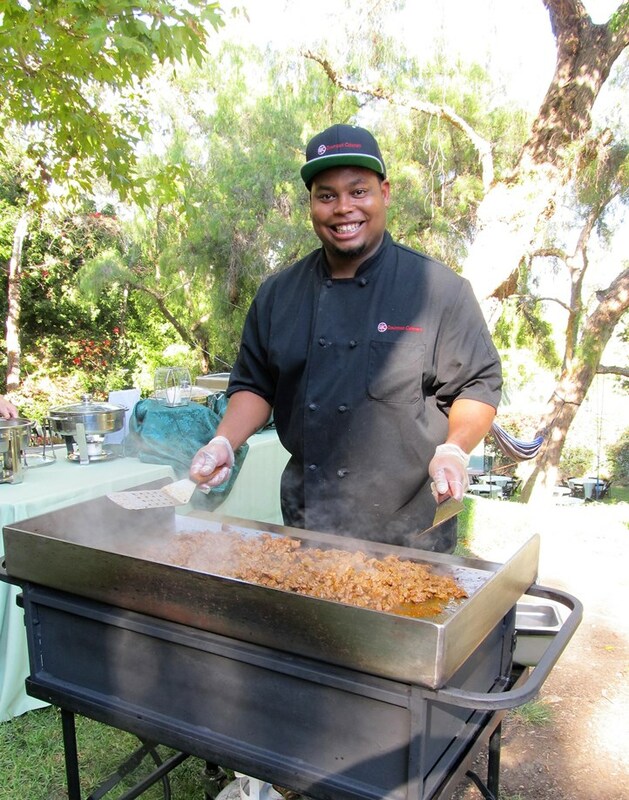 Gourmet Caterers has been a premiere Orange County caterer for more than a decade, we will be with you every step of the way in planning your unique event so you can enjoy the experience, and your event without stress or worry. From fine dining to casual, large or small, let Gourmet Caterers help you create wonderful memories.